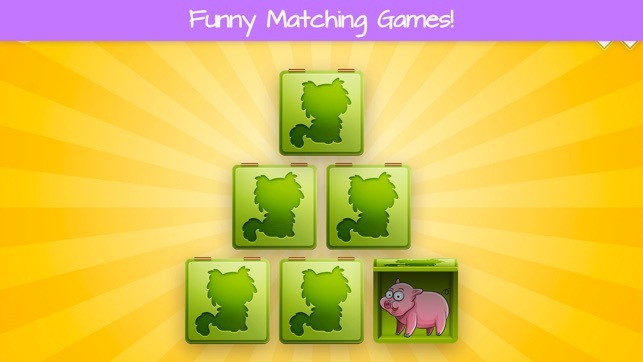 Toddler's Farm is a simple and happy puzzle game for toddlers and young kids. 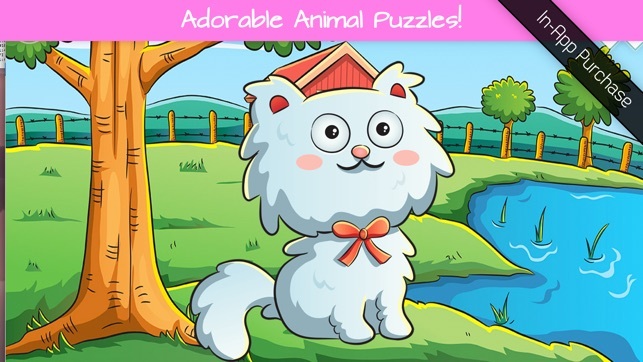 Puzzle pieces are large, animals are cute, and the app is really easy to use. There are plenty of jigsaw puzzles, animal sounds, and memory games. 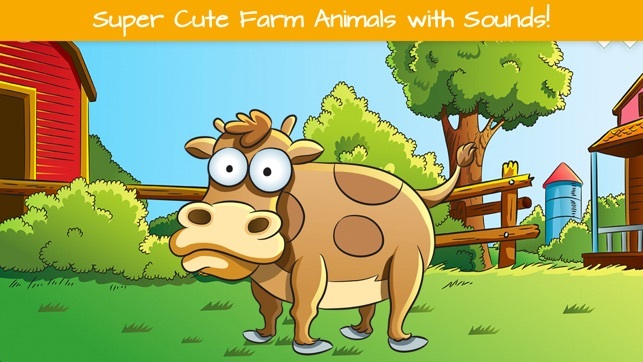 Farm Animals and Animal Sounds is designed from the ground up for toddlers and young kids! 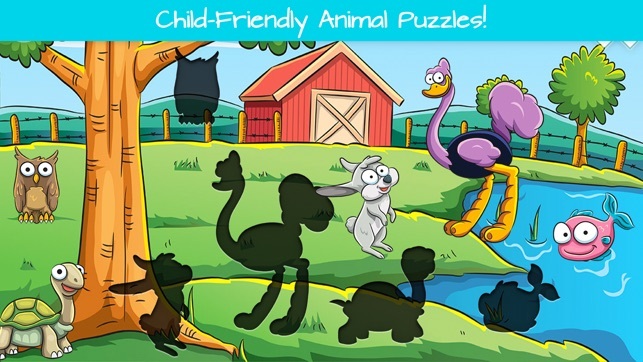 "Farm is clearly one of our favorite puzzle apps for young children"
- 18 animal puzzles designed for toddlers! 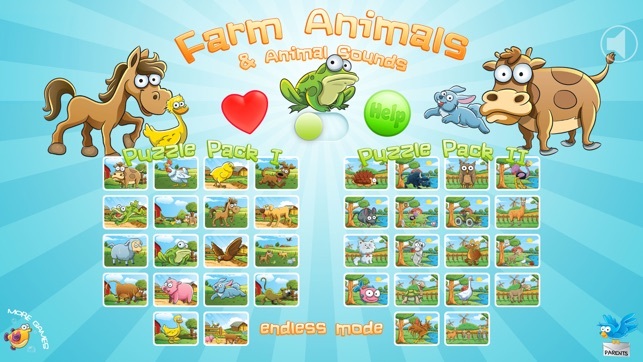 - Farm Animals and Animal Sounds is free to try and contains two In-App-Purchases! It took me about 10 apps to find this was the right one for my son. The other puzzles , you need a lot of fine motor skills, otherwise the puzzle piece would go back to where it was it you do not position it right where it goes. For a toddler learning to do a puzzle it could be frustrating and a bad experience. So this puzzle is a good experience e because the piece stays where you leave it, and if you put it above the shape it stays and makes a sound that reinforces the behaviors of doing the puzzle. Instead of punishing and frustrating the kid. Good job. I have injini app and it is great, but I wanted a pure puzzle app and this was the right one for my son. My 2 year old loves this app but the sound only works on my iphone but not her ipad. Its not my ipad as sound for everything else is fine. I uninstalled and re-installed and reset and restarted- still no volume on ipad!!!!!! Help! We wanna purchase more! I wanna give 5 star! Thank you so much for downloading this app and leaving a review! I'm so happy to hear your 2 year old loves it!! I have several suggestions for sound issues on the Parents screen inside the app. Please launch the app and tap the "Parents" in the bottom right corner in the main screen to see all the suggestions for sound issues. Also, If you need anything else, you can contact me directly from the Parents screen. I'm right here to help.